Wrist exercises are generally overlooked by many individuals when they exercise. This is a HUGH mistake. Having strong wrists and forearms are essential to enhancing your performance of many pushing and pulling exercises to include the biceps curl and triceps extension. For example, one of the main indicators that your wrist is weak when performing a biceps curl or triceps extension is the inability to keep your wrist straight while lifting the weight. For people who do not exercises regularly, having strong wrists will enhance performing tasks that involve using your hands in everyday life. 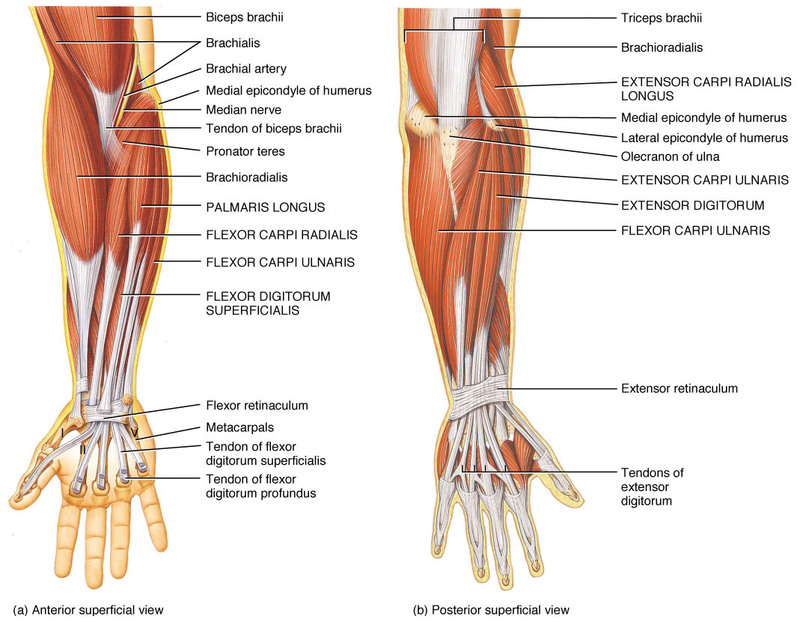 There are many muscles in your forearm that will benefit from good routine of wrist exercises. Fortunately this is an easy fix with performing the correct muscle actions and using the proper equipment. 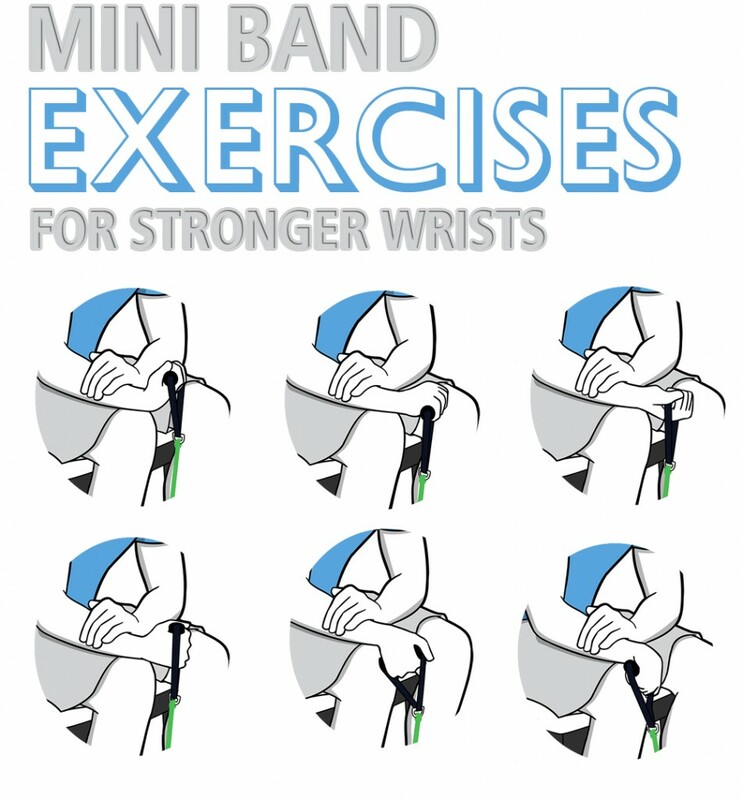 Mini bands are very useful in this regard to help you develop strong wrist and forearms. 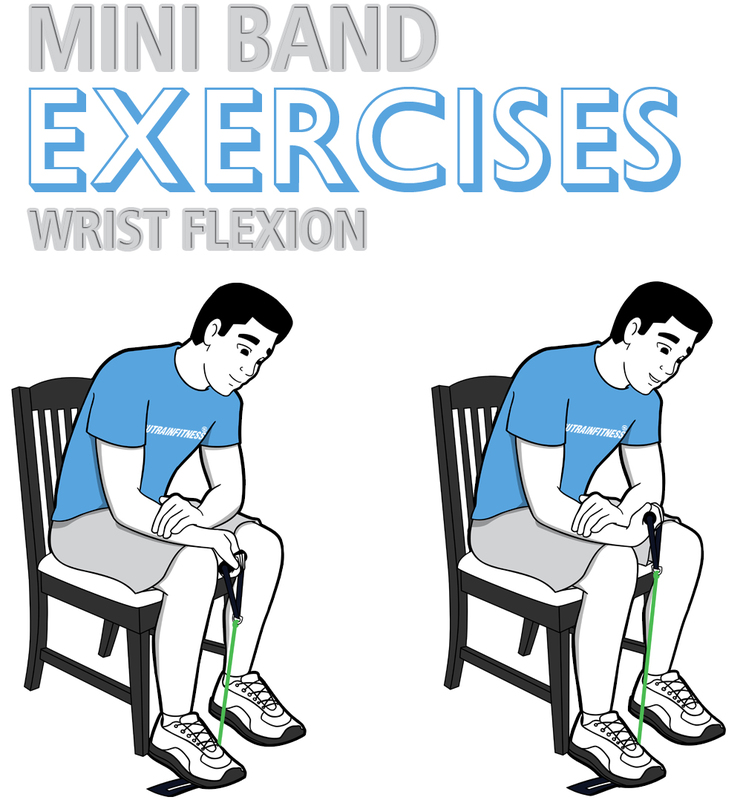 Below are six exercises that are design to improve the strength in your wrist and forearm. Secure the mini band with your foot (step on ankle strap) and lift handle until back of forearm is resting on your thigh with wrist extended over your knee. Exhale and flex your wrist so that your palm comes up as far as possible while forearm remains on your thigh. Pause, inhale as you lower your wrist back to start position. Repeat for 12-15 repetitions. Secure the mini band with your foot (step on ankle strap) and lift handle until front of forearm is resting on your thigh with wrist extended over your knee. Exhale and extend your wrist so that the back of your hand comes up as far as possible while forearm remains on your thigh. Pause, inhale as you lower your wrist back to start position. Repeat for 12-15 repetitions. This entry was posted in How to Guide and tagged mini bands, wrist curl, wrist exercises, wrist flexion, wrist pronation, wrist radial deviation, wrist supination, wrist ulna deviation.